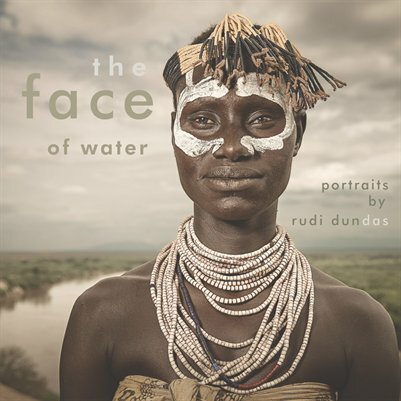 Catalog from the Exhibition, THE FACE OF WATER, at The World Affairs Council Gallery in San Francisco, February-April, 2015. A collection of portraits from the Omo River Valley in Ethiopia and Samburu in Northern Kenya, by Rudi Dundas. The exhibition is part of The Face of Water Project. For the past six years, Rudi has visited people affected by the global water crisis and recorded their personal stories, accompanied by their portraits. "I sit and talk with people, hear their stories, and if they are willing, make a portrait to go with their story. When the portraits are assembled, one is struck by the humanity, grace and nobility of their faces. Human life and problems are complex. Connecting directly with people is the first step to understanding the problems and finding the solutions."